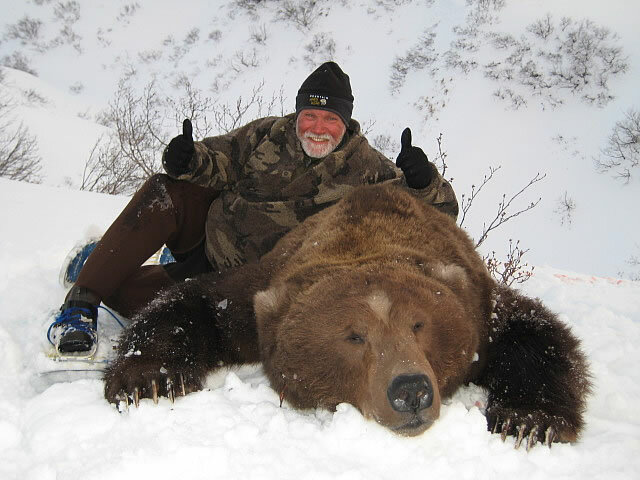 Steve “got it done” in the spring on his quest to harvest an Alaskan Brown Bear. Steve’s efforts along with the help of his best friend Travis and guide Justin endured one of the harshest spring snow conditions we have encountered. The team was able to intercept this bruin while he was on the move down a valley and complete Steve’s dream to harvest an exceptional bear. Steve’s bear was harvested from one of our state land permitted camps.